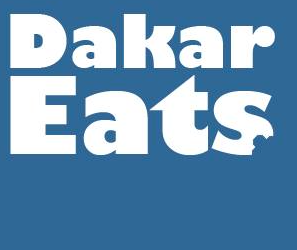 Many thanks to Michelle, our favorite surfer-review at Dakar Eats! If you don’t frequent Virage often you may have missed that in late September a smoothie and snack bar called The Upstairs opened up above Bantu Wax surf shop next to the Hotel Virage. Every time I drove by I was curious to check it out so when I was invited to review it for you lovely readers I jumped at the chance. Armed with my trusty friend I stopped by for lunch just before the holiday madness ensued. When we arrived the staff of Bantu Wax and The Upstairs were very friendly and welcoming. The external entrance to the smoothie bar was bolted so we had to enter through the shop below to get to The Upstairs (pun intended). It wasn’t my first time in the shop and if you haven’t gone yet you should definitely stop by to check it out. They have gorgeous stuff in there! Once we made it up top the first thing you notice is the view… such a great vantage point of Virage! We were even able to watch a Surf Attitude kids surf camp class from where we were which was fantastic (we had a child in that bunch). For seating there is one large table that takes up most of the space with plenty of chairs that certainly invites conversation between patrons. The day I was there it was just my friend so I was really optimistic about getting a good run down from the staff. I asked for the menu and the server sat with us at the end of the communal table and told us about himself for a few minutes. We talked with him about our experiences surfing in Virage a bit and he told us how he “used” to surf but has no time now with his new job. My face 😳. No time? He’s right there! I asked for the menu for a second time and he finally brought it and sat again. The menu is very unpretentious and concise and the prices looked perfect (who carries a lot of cash at the beach?) As we discussed what our selections would be he excused himself long enough for us to have three different conversations. When he finally came back with the notepad to take our order I asked for a Salam Aleykoom Smoothie and eggs with hummus. My friend ordered eggs with salmon. I ordered the Casamance Smoothie…determined to have something unique. He brought our toast… both with peanut butter (no explanation) and he was excited to tell us he added Bissap Jelly for us to try. I layered every offering like an open-faced sandwich over the dry toast…peanut butter, jelly, banana, and sprinkled with unsweetened coconut. It was quite tasty…perfect post surf snack! It was just heavy enough for you to be able to go back out to the waves. The flavors blended together nicely! Really nicely! The Casamance smoothie was brought out when I was halfway though my food. The celery and ginger flavors were notable but not overpowering. Super refreshing and it tasted NATURAL! Could have been a bit colder but still delicious. Overall I give The Upstairs a solid thumbs up for the available choices (hopefully the full menu will be available next time). I would totally go back with my kids (or maybe just one kid with those stairs) and a big Dakar-shoulder-shrug for the ingredient absence and service. Next Sweet corn and strawberries are here! Thanks for the review Michelle. I had been seeing people upstairs lately, so thought this place finally opened after almost 2 years! I guess the menu is meant to energize and cater to surfers, so the line-up makes sense, but I was wondering if what you eventually ordered (minus the smoothie) is what is listed on the menu at 3,500 FCFA? Hi Raquel! Yes! The first item on the menu!